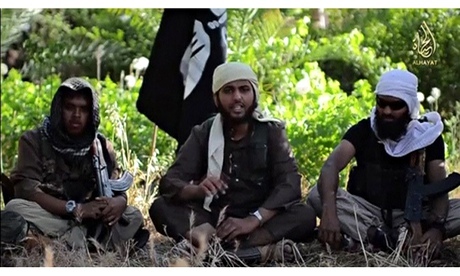 Is ISIS a Threat to the UK? The murder of American journalist James Foley brought global attention to the menace of ISIS. But what kind of a threat does the group actually post beyond the Levant? The cruel beheading by a possibly British ISIS fighter of American journalist James Foley is the latest act of brutality by a group whose willingness to use such violence continues to reach new depths. However, in the understandable consternation around the group and its activity, care should be taken to understand better the exact nature of the threat that this group poses. ISIS is working hard to try to overturn the current Westphalian order with its repeated invocations of destroying the Sykes-Picot borders of the Middle East and has quite successfully taken over an ever-expanding chunk of the Levant. The question is whether the group remains principally a regional threat or an international one. The best answer is to look more closely at the group’s history. ISIS (or Islamic State as they refer to themselves) is a group that has waxed and waned over the years. Borne out of Abu Musab al Zarqawi’s group that he founded in Herat, Afghanistan in the late 1990s, it came to more international prominence in in August 2003 when they attacked the Jordanian Embassy and UN Headquarters in Baghdad and a Shia shrine in Najaf. In the process they killed hundreds including UN Special Envoy Sergio Vieira de Mello and Ayatollah Mohammed Baqir al-Hakim, the leader of the SCIRI Party and one of the leaders of Shia Iraq. In time, the group, which in 2006 changed its name to the Islamic State in Iraq (ISI) to make it sound more Iraqi, suffered public blowback at its unremitting and brutal violence with the Sahwa ‘awakening’ movement as Sunni’s grew tired of the unremitting murder and sectarian tensions that ISI was stirring up. But for all its brutality within Iraq, the group did not much stretch beyond its domestic borders. Under Zarqawi’s watch in November 2005 they launched a series of three coordinated attacks on Western hotels in Amman, Jordan, killing 60 and injuring over 100. It was possibly linked to some attempts to attack Israel, but these amounted to little. This notwithstanding the fact that the group had the technical expertise, contacts, and fighters to use as tools to launch attacks against the West or elsewhere. Cut to today and we have a group that has formally severed its links with Al Qa’ida and established a dominion of sorts over chunks of Iraq and Syria. A decade on, it is still resorting to sending political messages through the brutal and public beheading of American hostages. We have yet, however, to see confirmed evidence of the group actually launching attacks outside its immediate territory (beyond possible links to incidents elsewhere in the Levant). This is not to say that we have not seen plots emanate from foreign fighter networks linked to the group. Mehdi Nemmouche, a French national, had allegedly fought alongside ISIS for some time prior to returning to Europe where he took it upon himself to murder four people at the Jewish museum in Brussels. And while his was the only successful attack, at least four other plots have been disrupted within European borders in which individuals fought in Syria (and possibly Iraq) before coming back home and undertaking plotting clearly in the direction of trying to do something within Europe rather than back in the Levant. But absent from these reported plots is much evidence of direction by ISIS. There have been suggestions of directed plots linked to Jabhat al Nusrah, but the information around these has been sketchy. Rather, it seems as though these plots for the most part seem to be undertaken by individuals who have battlefield experience and decide to come back and do something under their own steam. In many ways, this actually reflects the historical experience with foreigners who fight or train alongside groups in Iraq: Bilal Abdulla and Taimour Abdulwahab al Abdaly both spent some time in Iraq alongside the insurgency before heading back to the UK and Sweden respectively to try to carry out attacks. In neither case was their evidence produced of direction off the battlefield, though their cases illustrate clear examples of individuals that a group like ISIS could have used had it wanted to launch attacks against Europe. A Menace, Yes. But is ISIS a Threat to the West? It is clear that ISIS is a menace that leaders rightly focus on. It has the potential to upend the Middle East and cause death and misery to thousands. But it is not as of yet clear that it is a group with the desire and intent to launch itself against the West and Europe in particular. It has the means at its disposal to launch such attacks and has rhetorically threatened such attacks, but so far we have not seen these clearly materialise. This is of course not to say that they might not take place. Clearly, ISIS is a group that has evolved over time, and it might yet evolve in a strategic direction that leads to a concerted effort to launch attacks against the West. But as we can see from the fact that in a decade of unleashing brutality, its approach to attracting publicity has little changed, it is possible that its aims and goals have equally shifted little and it continues to be more interested in regional ambitions. The significance of this distinction lies in the subsequent official reaction in Western capitals to the group. Foley’s brutal murder, like the group’s earlier gains in Iraq, were predictable, but were greeted with shock which mandated major response – a product of the relative inattention that was being paid to what was happening in Syria and Iraq. The danger is that in the absence of a clear plot linked to the group, attention might fade and the group will be seen as a regional irritation that can be managed, rather than an organisation that requires focused extrication and where possible eradication. This difficult conclusion is one that will only be achieved over a lengthy and committed timeline involving a complicated array of bolstering local forces, cutting deals with tribes to undermine the group, as well as focused counter-terrorism efforts to eliminate leaders and cut off supply routes. More strategically, an inclusive government needs to be fostered in Iraq and the civil war in Syria needs to be brought to some resolution. None of these are easy solutions, but they are long-term solutions to what is necessary to finally bring some peace to the brutalised Levant.